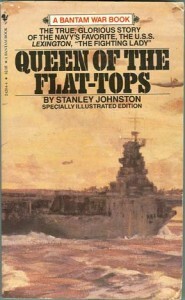 “QUEEN Of The FLAT-TOPS” The True, Glorious Story of the Navy’s Favorite, USS Lexington, The Fighting Lady. By Stanley Johnston. Commissioned in 1927, and nicknamed the “Gray Lady” or “Lady Lex,” the USS Lexington (CV-2) was not at Pearl Harbor on December 7, 1941. Instead she was busy fairing aircraft to Midway Island, thus avoiding attack and any of the losses. In May of 1942, Lexington fought the Japanese for the first time, in the Battle of the Coral Sea. On May 8, 1942 Japanese aircraft struck the carrier with bombs and torpedoes. Heavily damaged and overcome by fires, the doomed vessel had to be sunk by a U.S. destroyer to avoid capture by the Japanese. Lexington was the first American flat-top lost in World War II. 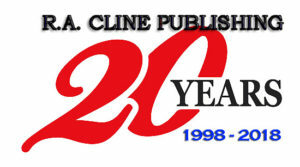 1984 Paperback edition, 234 pages, 3 maps, countless illustrations, no photos or index.